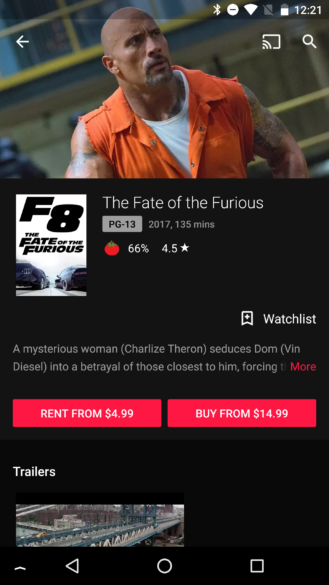 2.1 Another Movies Anywhere, maybe? If you're used scrolling down movie listings to watch trailers, it's time to break that habit. The dedicated row for trailers has been thrown out, but you can still watch them by looking for a "Trailer" button located at the dead center of the cover art at the top of the listing. I don't personally care for this change because it obstructs the cover art. On top of that, this approach seems to mean that movie listings can't have more than one trailer. That may not matter most of the time, but there are some movies that were best represented over two or more trailers–look up the original Lilo and Stitch trailers involving other Disney characters for a great example. Sorry, I'm just nitpicking. Movies have included information about the language of an audio track and captions for a long time, but TV shows strangely left out that information. 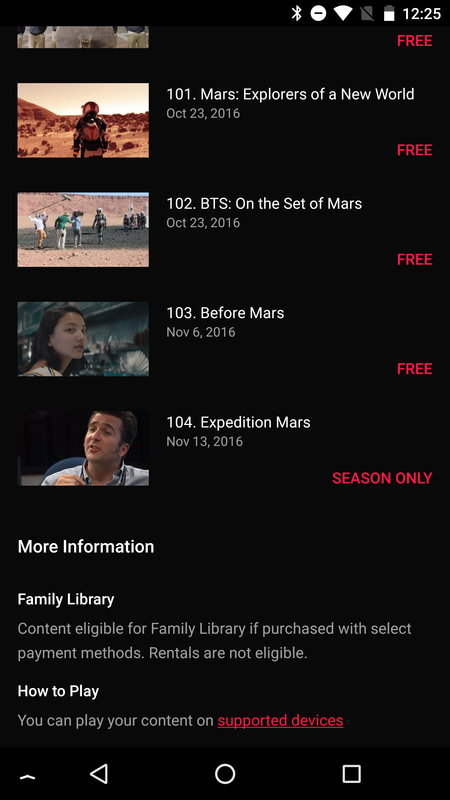 But with this update, that changes as those two fields are now present. 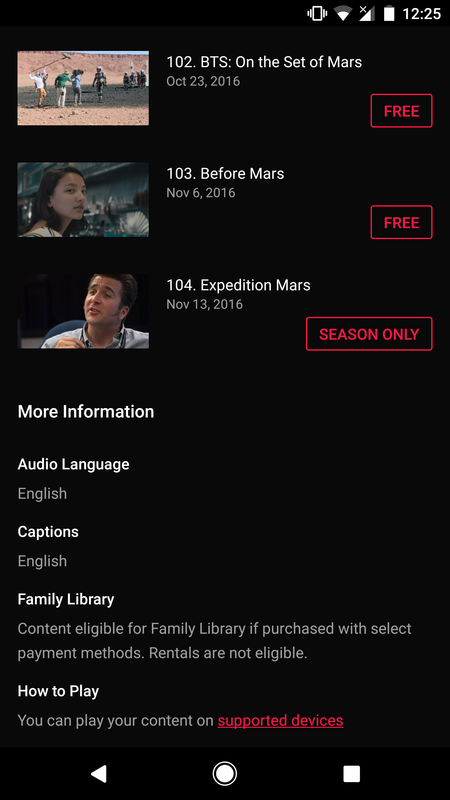 If you were paying close attention to the screenshots above with the new fields for language, you may have also noticed that the price indicators (these happen to be free episodes) are now surrounded by a red outline. As usual, there are also adjustments to text weight and padding sprinkled throughout the app. Back in 2014, Disney came to agreements with Apple and Google to make movies purchased on its service watchable as if they were part of iTunes and Play Movies & TV. The service is known as "Disney Movies Anywhere." 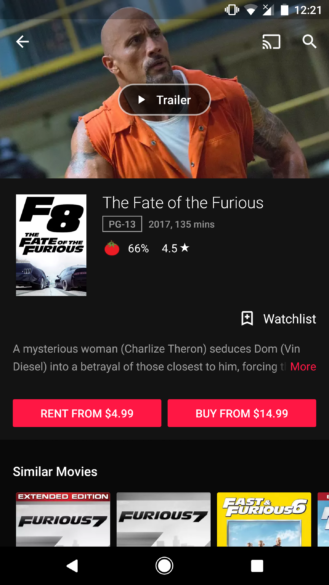 Go into settings for Play Movies and scroll down almost to the bottom to find the spot where you can link the account. 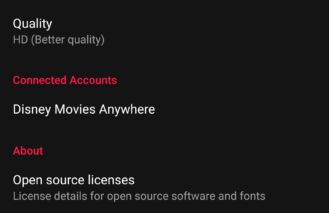 Strangely, there are now some new lines that suggest Play Movies will soon allow users to link accounts to something that is also called "Movies Anywhere," but without the Disney name. The significant detail here is that the current text for the Disney-branded service hasn't been touched. In fact, the new lines are named with a "ma" abbreviation while the old lines still have "dma" in their names. Basically, both services currently appear to be completely independent. 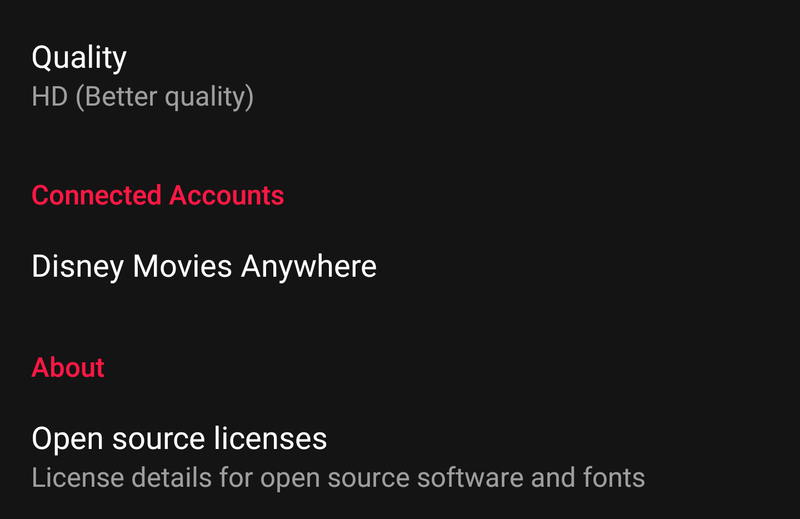 I can't find another similar service with the Movies Anywhere name, so it's hard to attribute this to another company at the moment. Perhaps this means Disney is spinning the service off on its own, or maybe the people in charge of branding decided Disney shouldn't be part of the name – but we all know better than that. Right now, I don't have a great guess for this one, but it's just mysterious enough to warrant raising a question or two.